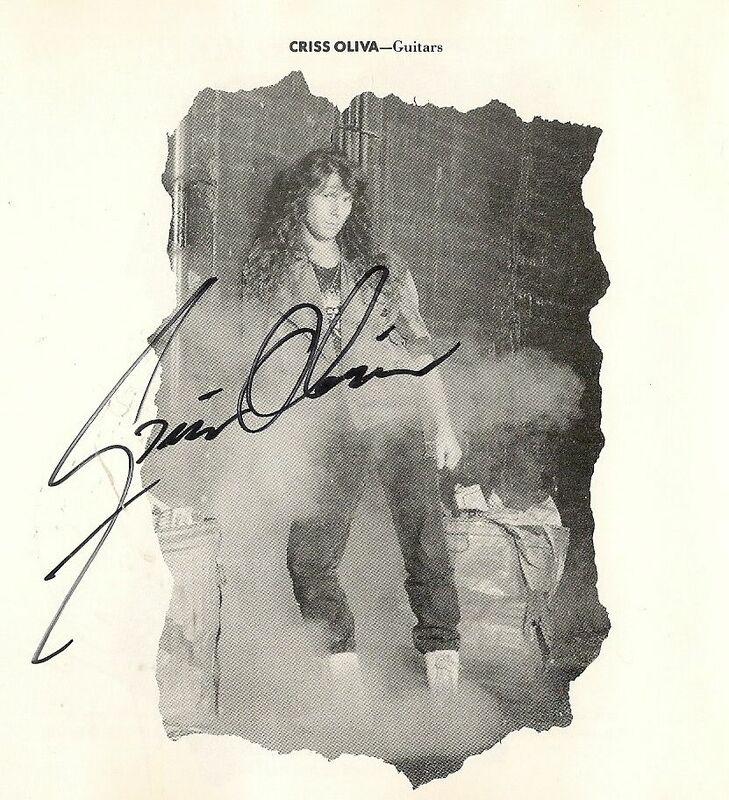 It was twenty years ago today that the Metal world lost Savatage guitarist and co-founder Criss Oliva to a drunk driver and the fans of his music still miss him as strongly as when this first happened. He was only 30 years old when at the time and was growing in popularity by leaps and bounds based on his incendiary skills on the lead guitar. Born Christopher Michael Oliva in 1963, he is the brother of Savatage’s own Jon Oliva (the legendary Mountain King) and together they formed Avatar which eventually took new musical shape and life as Savatage in 1983. Metal was about to get a dose of something different care of these guys and the ride was an exciting one to me as a new fan. I was first turned on to the music of Savatage by my friend Rizzo who I eventually worked in a band with together for a few years and I guess that the time of this Metal referral was around when “Power Of The Night” was already released. I was a drummer and I loved the power of the riffs over the title track and used to rehearse against that tune regularly. I became more of a diehard to the band’s output with “Hall Of The Mountain King” and honestly who didn’t love almost all of that one in the Metal circles of the time. To continue to speak personally on this, our band Machine was floored when the legendary L’Amour’s in Brooklyn booked us to be the opener for the Savatage and Trouble show that was going to take place. The band had just released “Gutter Ballet” and I ran over to The Record Factory to buy a copy on this new CD medium that everyone was beginning to talk about a lot more. I liked that they had cool booklets and inside this one were individual pages with the members of the group. I figured it would be nice to get a signature or two on it if possible since we were opening up the show. When we rolled our gear into the club Savatage was already there and mostly finished with their sound check. Criss sat on the end of the stage tuning his guitar so I went up and introduced myself. I said how I was loving the new album and that I was the drummer in the opening act and would he mind at all signing his page on the booklet. He smiled and obliged me and before giving it back said, “wait a second” and then he walked around the stage getting each of the rest of the band to sign this for me. All of them. The Mountain King, Johnny Lee Middleton, Doc, and Chris Caffery. He walked back over and handed my CD jacket back and said “you guys get them started tonight alright”. I replied “you got it”. It was a gesture of awesomeness and spoke to the way this guy was to people he met. This was my only personal interaction but I have never forgotten the story as it inspired me to play more back then and raise the bar for Metal. Thinking back I remember feeling that Machine did get the night started up proper and as far as the set by Savatage, well, those guys blew the roof off the club. The band was recording a live album that night and while it never was officially released a number of the tracks can be found on the “Final Bell/Ghost In The Ruin” album. Oh yeah the photo below is from the CD jacket in the story. Thank you again Criss, I am sure that somewhere out there you hear all the love that is being sent to you today on the anniversary of your passing. There are so many great Savatage tracks that feature Criss’ phenomenal playing and I’ve listed the bunch of them for you below so you can expand and enhance your own music library. Twenty years after his passing these riffs still cut the air like lightning bolts. I recommend all of these to you with the firmest of resolve. He was truly ahead of his time and honor should still be directed to him for his Metal contributions. Previous PostThe Rock and Roll Hall Of Fame 2014 Nominees Are….Next PostThe New Thunder Phase 2: Tony Harnell Returns To TNT! Edge of Thorns was a great album. 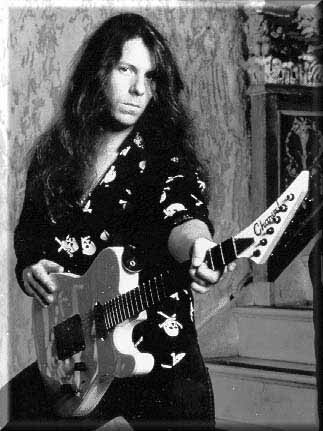 Chris & Savatage a major influence on me & my songwriting with Tempest-Brooklyn. His guitar playing was a mix of early metal guitar and the shred guitar of the 80’s. He & Brother Jon created an amazing sound. Metal lost an icon. Awesome read, Ken! Savatage was also one of my favorite bands at the time as you well know considering how many nights we spent hanging out knocking a few beers back to the sounds of Hall of the Mountain King or Gutter Ballet blasting from the radio. As someone who played guitar, the hypnotic runs and hooks that Criss Oliva birthed blew me away and always seemed to be running around in the recesses of my mind. When Criss passed, I was shocked and saddened. Like Hendrix, Rhoads and Burton before him I felt like the world was going to miss out on all the songs that could have been.